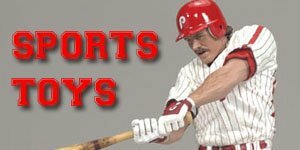 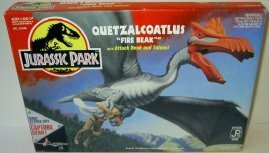 Jurassic Park Action Figures Guide and Checklists? 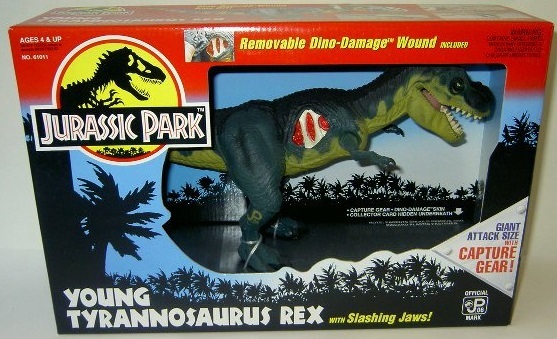 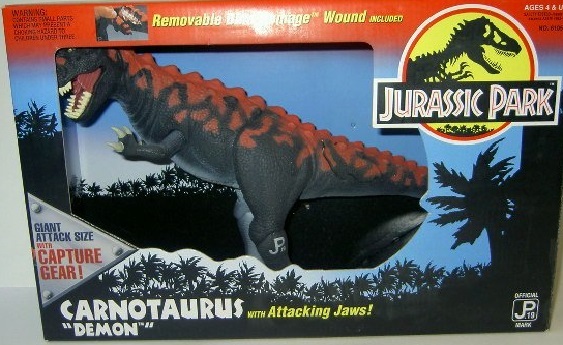 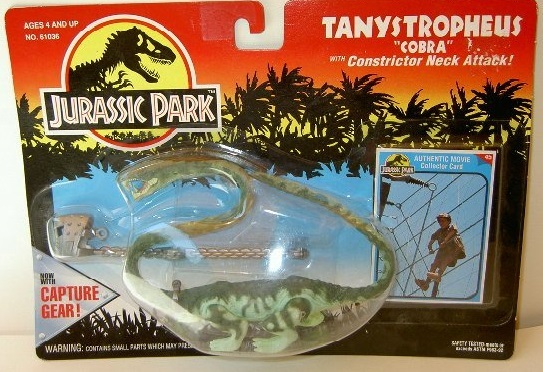 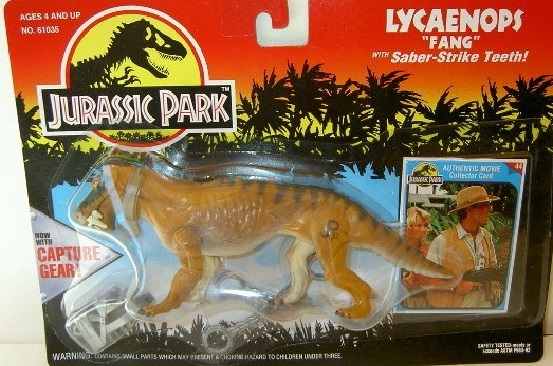 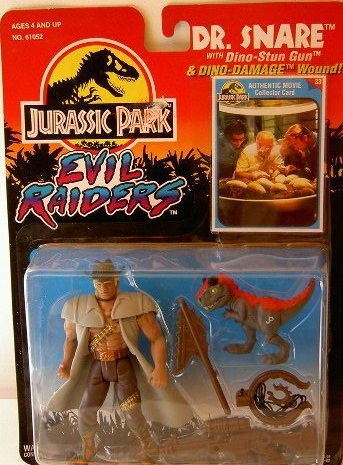 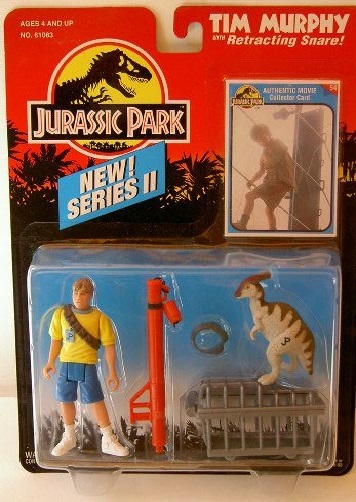 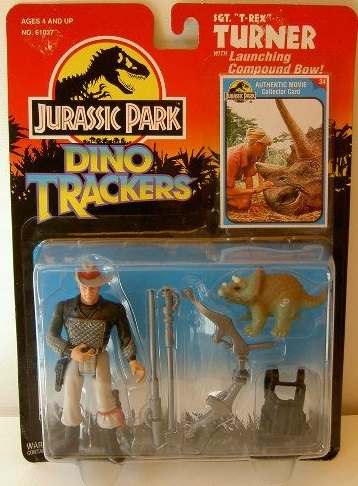 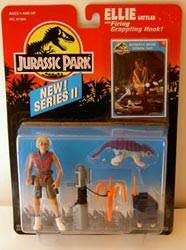 The first Jurassic Park Action Figures were released by Kenner in 1993. 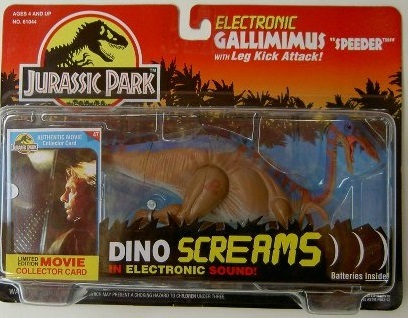 Jurassic Park is one of the most successful movie franchises of all times and is based on a 1990 novel by Michael Crichton. 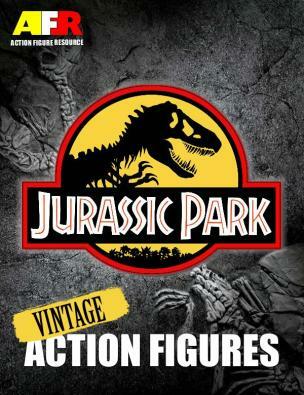 But did you know that although the movie wasn't released until 1993 FOUR movie companies bid on the movie rights BEFORE the novel was even published! 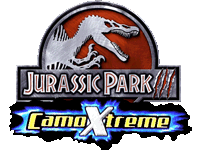 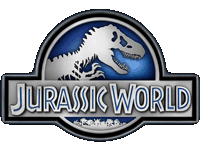 The movie went on to gross over $900 million worldwide in its original theatrical run and later, in 2013, with the release of Jurassic Park 3D to celebrate its 20th Aniversary it became the 17th movie in history to surpass $1 billion in ticket sales! 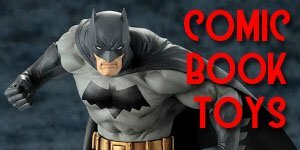 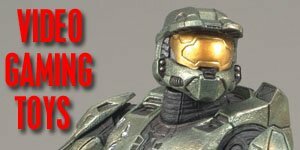 And with a with a fifth installment scheduled for a 2018 release it looks to continue its success for a few more years yet. 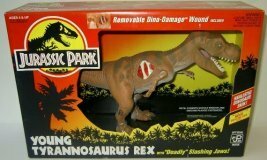 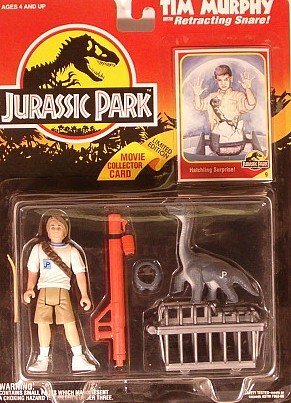 The first series of Jurassic Park Action Figures was launched at the same time as the movie and, like the movie, also became an instant hit. 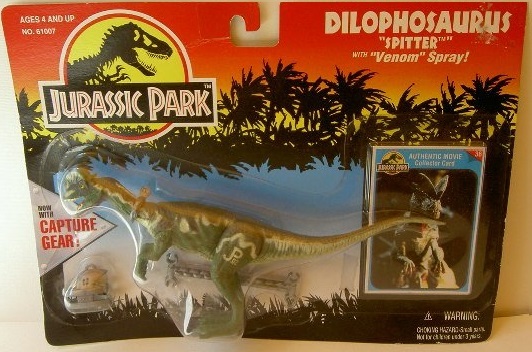 The human figures in the first series bore little resemblance to their movie counterparts as the sculpts were based on artists renditions, each also came with an elaborate snare weapons designed to trap the dinosaurs and a movie trading card. 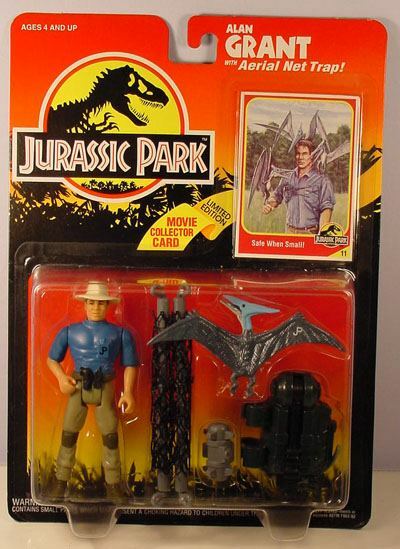 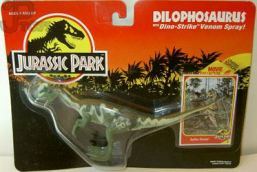 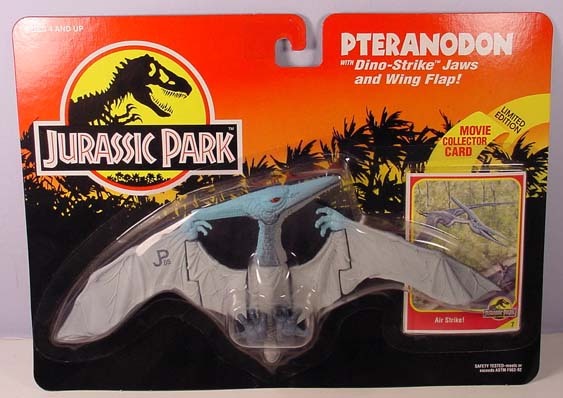 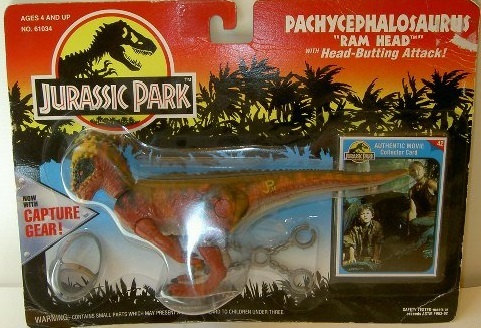 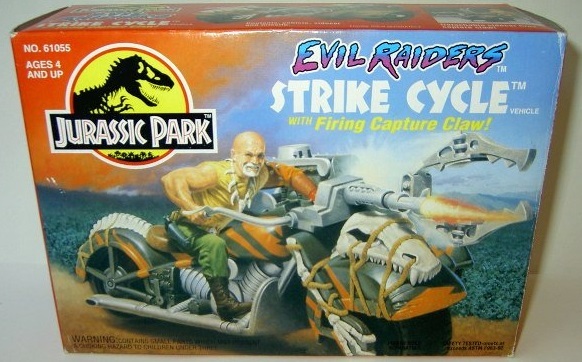 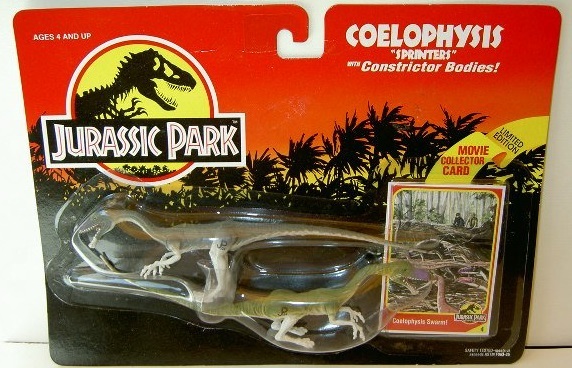 There were also two different Jurassic Park Action Figures backing cards. 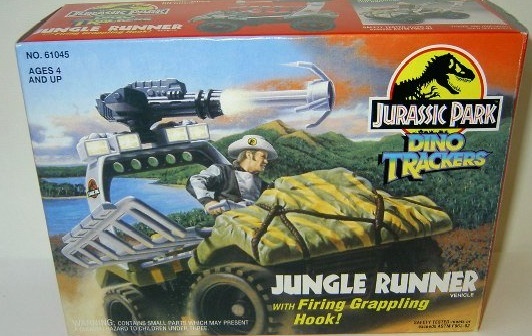 The first card featured a black background behind the bubble, but later the more popular and recognizable sunset/jungle background was used. 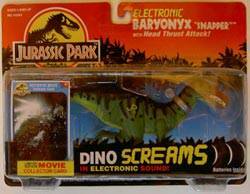 However it seems that no one of these is rarer than the other. 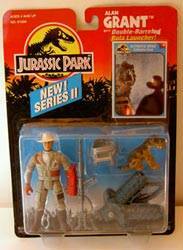 The first series feature five human figures and eight dinosaurs, some of which weren't even featured in the movie. 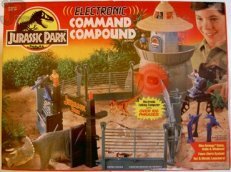 There were also three playsets, including the famous Command Compound. 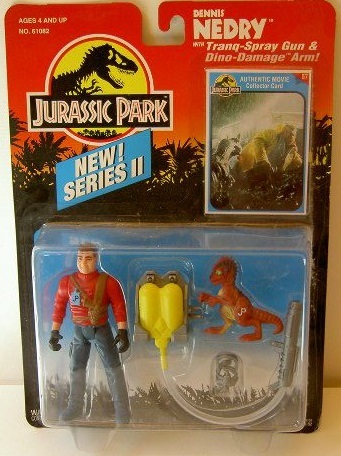 Most of the Humans from series 1 can be found on eBay for between $10-$15, as they were vastly over-produced. 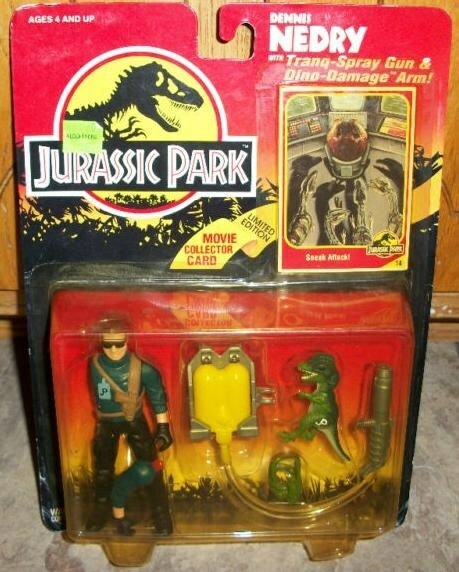 As with the Humans the basic Dinosaurs sell for approx. 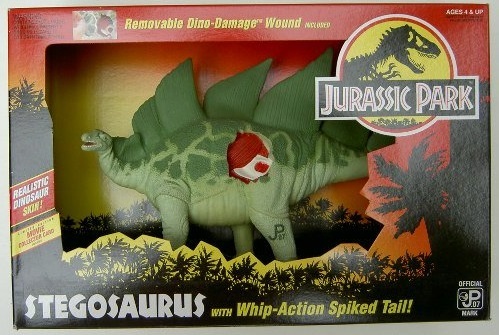 $15-$20, whereas the Dino Damage and Electronic Dinosaurs sell for around $40-$50 each. 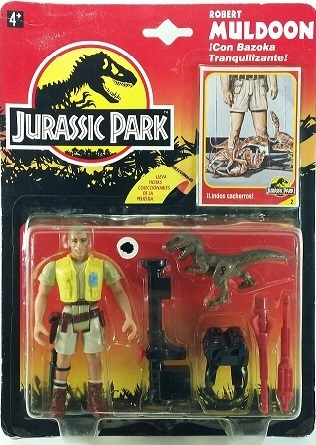 The series Jurassic Park Action Figures Series1 figures were re-released in 1994 as part of the series 2 line along with some new sculpts. 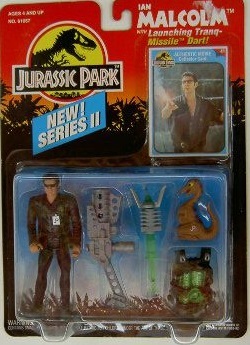 These figures also featured new, more accurate head sculpts as well as re-coloured clothing and the addition of an Ian Malcolm human figure. 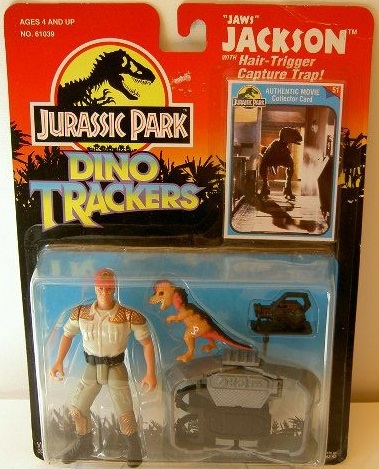 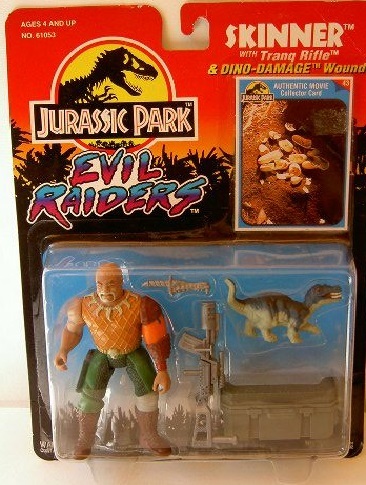 Kenner also introduced two themes, the "Evil Raiders" and "Dino Tracker" to represent the goodies and baddies in order to try and increase the appeal and playability of the line. 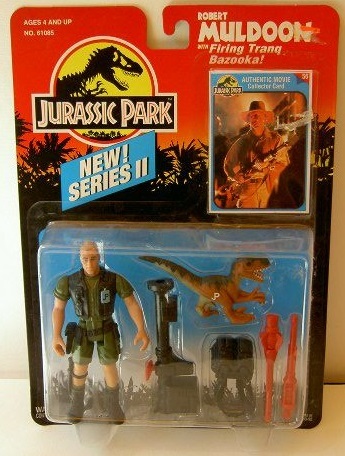 These new figures, including those from series 1, were also labelled "New Series II” to distinguish them from the original series. 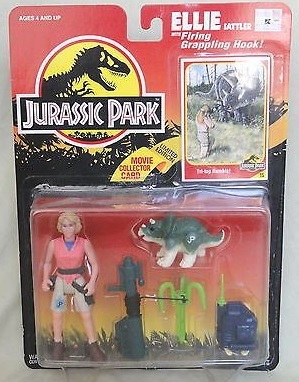 Like the series 1 Jurassic Park Action Figures these also came with a movie trading card but a lot of the cards, numbered between 35-51, seemed to be missing so it seems likely that Kenner had planned a lot more figures in this series than were eventually released, probably due to poor sales. 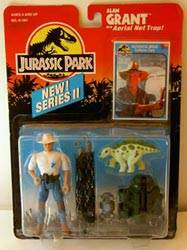 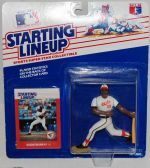 The older figures from series I also came with the new series II trading cards, which is useful in distinguishing them from the originals. 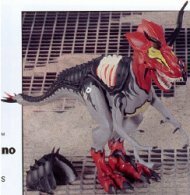 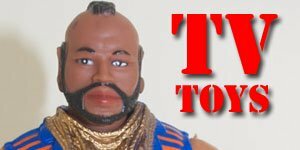 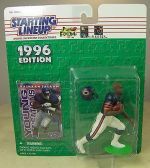 These figure were available in large quantities and heavily discounted from Toy Works and Kay Bee Toys in mid-1996, but they seem to have become the harder of the two series to find recently. 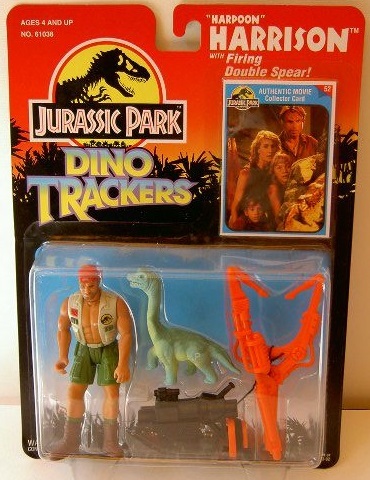 Unlike the series 1 Jurassic Park Action Figures the series 2 figures have proved to have been a much better investment with values of $50-$80 and the Nick Van Owen selling for as much as $200! 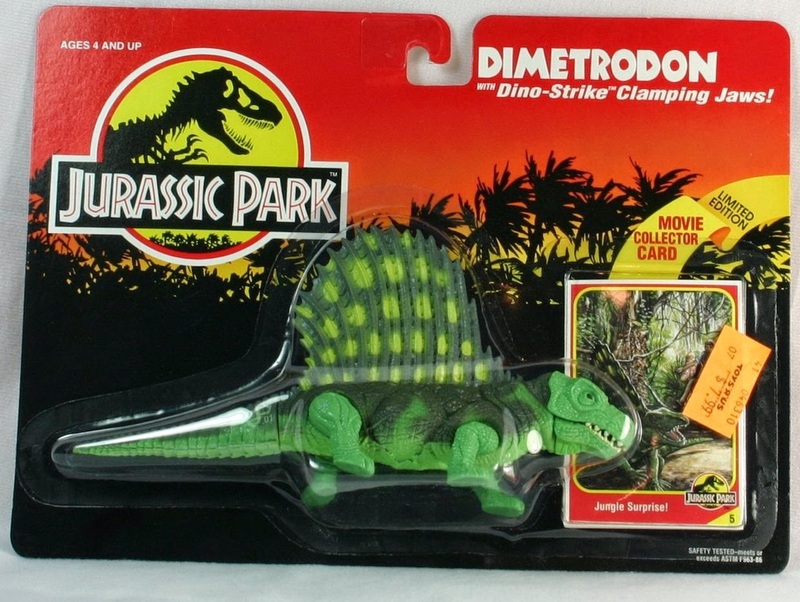 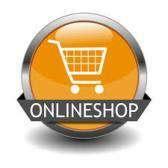 The Dinosaurs, however tended to go for between $30-$40 and occasionally as much as $70-$80. 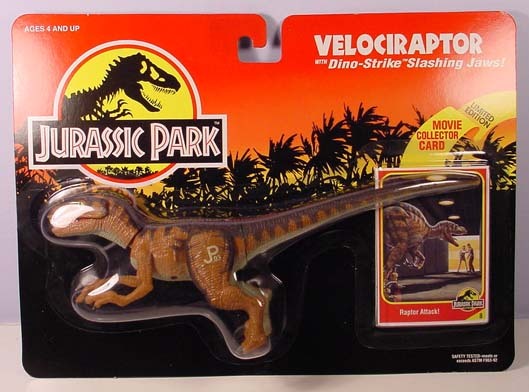 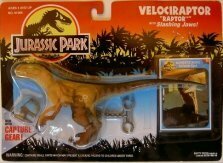 There were four vehicles released with the second series of Jurassic Park figures. 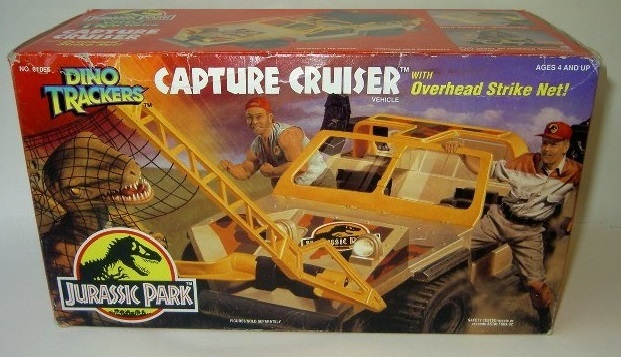 The Jungle Runner and Strike Vehicle generally go for around $40-$50, whereas the Capture Cruiser goes for $200-$250 but you’d probably find yourself feeling a little cheated if you paid that for it as it is far from one of the better vehicles, with poor a poor design and paint job.